← We’re having a.. GIRL! Us girls probably all have hats – some more than another. They’re not easy to stack and to be fair – they’re often too pretty to stuff away. 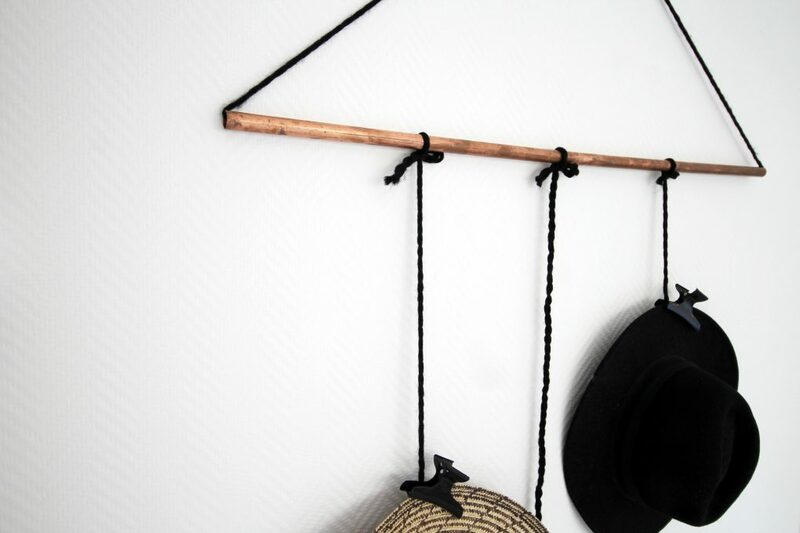 Therefor I made this hat rack out of a copper pipe and some yarn. So easy, so fun! 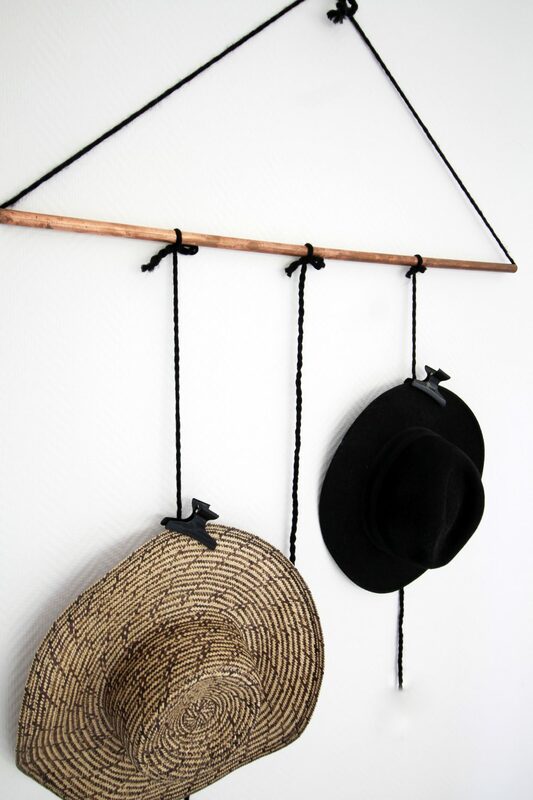 Put the yarn through the copper pipe and attach as many “hanging points” as you like. 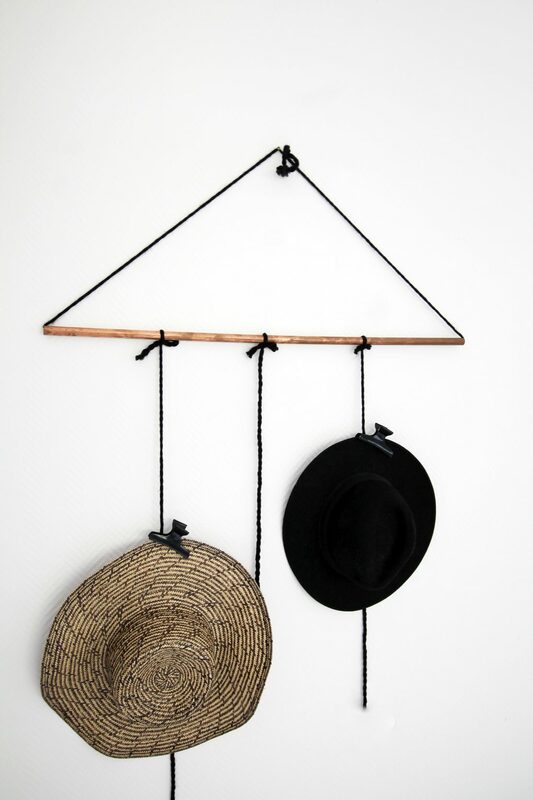 If you have a lot of hats, remember you can hang them beneath each other on 1 string. For a consistent look match the intervals between the yarns.